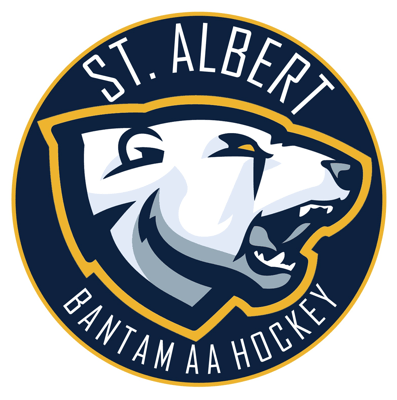 The Bantam 'AA' Bears are excited to announce Mike McClenaghan as Team Manager. It takes the entire team family to create and support a great sport experience. Please give consideration to the following volunteer roles as each family will be asked to support the team. Takes team sweaters in for name bars, finds tailor if sweaters need repair, can fix helmets (screws, straps, etc.) as required, coordinates skate sharpening for away tournaments. Responsible for coordinating game day tasks. Common tasks include confirming time/score keepers, creating game programs, collecting team roster stickers and coach signatures, confirming goal and penalty details after the game, distributing game sheet to coach/manager. This role is often the backup for the manager. Responsible for bringing and playing music at home games. Schedule, plan and organize team participation and support for the John Reid Tournament. Attend all meetings and enlist volunteers to fill the shifts required of the team. Work with trainer to create a nutritional plan and ensure that food is available to players during intermission breaks. Takes responsibility for buying food (i.e. Gatorade, bananas, oranges, power bars, etc.) and transporting to each game. Communicates issues of concern to the Coach on behalf of a family. The Parent Liaison will discuss the situation with the Coach. If warranted, they will set up a meeting to discuss issues that remain unresolved and will serve as a neutral and independent party. Accompanies trainer to the dressing room if required and is prepared to follow the direction of the trainer. This position does not require any safety experience or training. Schedule, plan and organize social functions for the team, enlisting volunteers as required. Takes team photos and video, posting to team Twitter account. Updates Twitter with game scores as needed. Monitors other teams Twitter accounts to ensure the team has a strong social media presence. Responsible for capturing game statistics using provided templates or software. Statistical data will be used before and after games, between periods, and for individual athlete and team study. This role requires two individuals with hockey knowledge. Responsible for ensuring all off-ice tasks are completed, typically through delegation to all team parents. Creates a flow of communication involving parents and coaches as well as Raiders, NAHL, other team, referees, and tournament organizers. In charge of the score clock, game sheets and penalty box. Common tasks for score clock include period that game is in, the time for each period, goals, and penalties. Common tasks for game sheet include recording goal and penalty details, distributing copies to teams. Schedule, plan and organize the team itinerary for away tournaments. Communicate hotel confirmations, work with coaches/manager to create tournament itineraries, work with social coordinators to plan team meals and player events. Will handle all the financial responsibilities of the team including collecting fees from parents, managing bank accounts, reimbursing expenses, paying invoices and providing ref money at each game. Required to submit budget to Raiders during the season and provide balance of accounts to parents at any team meeting. Take game video and provide to coach afterward. May also be required to establish a YouTube channel and edit player or game highlights. Takes responsibility for finding alternate videographers if they cannot make it to a game.